According to the results of my genetics testing, ‘depression’ is embedded in my genetic makeup. In other words, I am prone to depression. With those genes, I have two options. I can accept the fact that I am likely to be a depressed person and when the depression hits, I find a doctor who will prescribe me some drugs for it. My other option is to be aware of my depressive tendencies and cultivate an environment that does not allow these depressive genes to express themselves. Both options involve an awareness of depression and a commitment to do something about it so this awful disease, which reportedly affects more than 300 million people globally, does not destroy my life. Actress Gabourey Sidibe recently opened up about her battle with mental health and how she got help by seeing a doctor who prescribed an antidepressant. And for many with depression, taking prescribed medicine may be a viable option. Taking a pill for depression may be no different for some than taking an antibiotic for an infection. But a strategy to address depression should be approached on a case by case basis. What may work for one person may not work for another. While medication may indeed be necessary, we should also be aware of other strategies to address depression and mental health. There are many causes of depression. The disease is more complex than merely having a chemical imbalance in the brain. And the cause may dictate the type of treatment to address this disease. Causes of depression may include “faulty mood regulation by the brain, genetic vulnerability, stressful life events, medications, and medical problems. It's believed that several of these forces interact to bring on depression,” according to Harvard Health. There are various types of natural therapy (also called alternative therapy or alternative medicine) which may address depression. Diet and exercise are examples of natural therapies. With my genetic predisposition for depression, it was important that I maintain an active lifestyle and eat a balanced diet. In my opinion, my lifestyle plays a huge role in preventing those awful depressive genes from manifesting themselves. Luckily, I do not have to take medications to address my genetic tendency to be depressed. 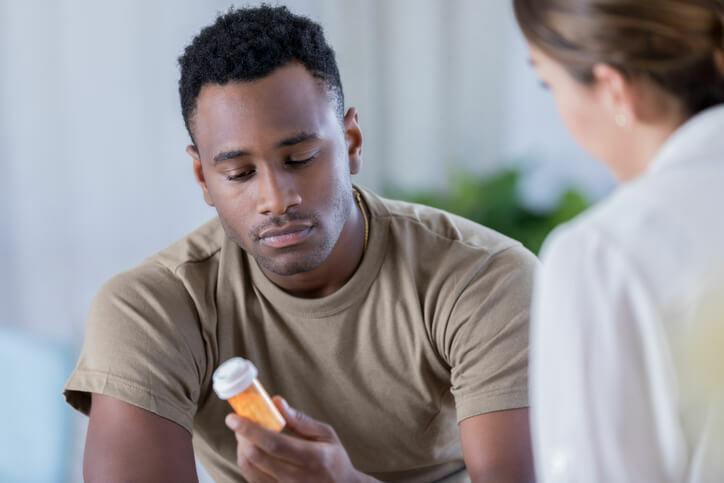 For those who need to take medications, it is important to be aware of the side effects of those medications and discuss the issue with a competent medical specialist. One side effect I find particularly concerning is nutrient depletion. Taking medications may deplete the body of essential vitamins and minerals which play a role in preventing depression. Nutrients like magnesium, iron, copper and vitamin B all play a role in preventing depression, and they may be depleted with prolonged use of medications prescribed for depression. Sexual dysfunction is also a common side effect of taking antidepressants. I bet I got your attention now! Exercise. As we have previously stated, just one hour of exercise a week might help keep depression away. In particular, playing a team sport may especially be helpful. Bright Light Therapy. As we head into winter, some people may be experiencing seasonal affective disorder (SAD), a type of depression tied to the colder and darker seasons. Bright light therapy may be used to imitate sunlight, which may lift your mood. Diet. This is probably one of the most effective ways to help combat mental illness and many other health issues for that matter. According to the report, specifically the Mediterranean diet may help with depression. This diet steers clear of processed foods and includes plenty of healthy fats, fruits, vegetables and lean protein. Cognitive Behavioral Therapy. “Cognitive behavioral therapy (CBT) is a short-term, goal-oriented psychotherapy treatment that takes a hands-on, practical approach to problem-solving. Its goal is to change patterns of thinking or behavior that are behind people’s difficulties, and so change the way they feel. It is used to help treat a wide range of issues in a person’s life, from sleeping difficulties or relationship problems, to drug and alcohol abuse or anxiety and depression,” according to one source. Meditation. In addition to possibly helping prevent dementia, meditation may be a great natural therapy for depression. Credible evidence has shown that mindfulness meditation may help combat depression. It is always important to remember that some medications may cause depression. So educate yourself about the side effects of the medications you take. Finally, know that, as with most things concerning our health, the more comprehensive approach you take with battling depression the better the outcome you will likely have. For example, you will likely feel better if you eat healthily and regularly exercise instead of just doing one or the other. It might not also be a bad idea to take a comprehensive nutrient test. As mentioned, a nutrient imbalance or deficiency may be the root cause of why you may be suffering from depression. If you discover you have any nutritional issues, a competent healthcare professional can work with you to adjust your diet and possibly recommend quality supplements you can include in your regimen.